Decorative concrete projects are great for making improvements in homes and establishments. Whether it be to improve a concrete area’s functionality or aesthetic value. If you have a concrete surface in your property that needs decorative concrete services, you best be prepared. To lend you a hand, here are five tips for a successful decorative concrete project. You don’t want to start off not having any idea of what is involved in processes like concrete resurfacing, repair and refinishing. 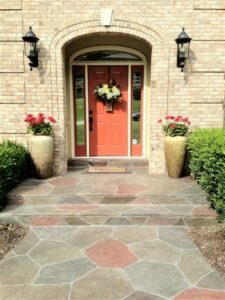 The importance of having at least some basic information regarding decorative concrete services cannot be stressed enough. Otherwise, it will be difficult to express thoughts to a contractor or determine what your options are. Look into applications, installation areas, and even some terminologies. After you’ve done your research, you need to know what your desired outcome is for your concrete area. Knowing the different applications available for installation areas such as patios, pool decks, driveways, walkways and more, makes this part much easier. Having a good grasp about what you want makes it easier to express these to your chosen contractor. When you’ve figured out what your desired outcome is, the next move is to look into options on how to achieve it. You can call local contractors to get a variety of recommendations that will give you a clear picture of the services you’ll need. Consider your budget as well. Most contractors are willing to provide options that can fit your budget. Finding a reliable decorative concrete contractor can be quite difficult. To make it easier, you can gather a list of local contractors and narrow them down depending on their reputation and experience. Consider recommendations from friends. Read reviews and testimonials to give you a good idea of their work ethic and how they execute projects. Try to be involved as much as possible during the process but don’t impose yourself on the people working on the project. Involve yourself by asking questions and showing interest in the process. Maintain effective communication. You also need to trust the expertise of your contractor. Be open to suggestions and recommendations without giving into unnecessary upsells.